The ALL NEW Echo® MiniTech Pro BT™ with Bluetooth Transmitter will help you enjoy amplified sound with exceptional clarity. 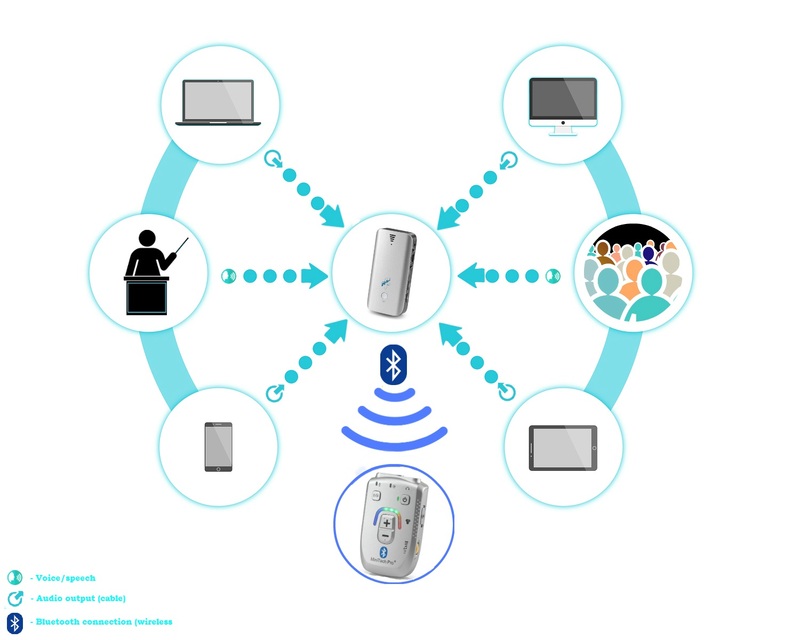 Are you looking for a solution to help you hear conversation and WIRELESS TV more clearly….? Product code: 754&755. Categories: Personal Listeners, NEW! Bluetooth. For people with hearing loss, watching TV, answering the mobile phone or even day to day conversation can be a struggle. 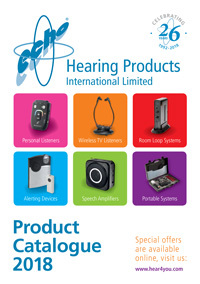 To make your life easier we have designed our range of Bluetooth products using the latest technology to maximise sound quality. All of our Bluetooth products have a low latency feature which ensures that sound is transmitted fast, and in sync with visual media such as your TV, giving you an improved user experience. The Echo Universal Bluetooth transmitter with Bluetooth 4.2, can be used with our MinitechPro BT personal listener or any other compatible Bluetooth receivers. Simply pair it with the Bluetooth receiver and enjoy crystal clear sound within a range of 10 metres. You can also use it as a universal TV transmitter connecting it by Digital Optical or standard 3.5mm Audio jack and rediscover the joy of hearing every word of your favourite TV shows and channels. (Optical Cable provided). The Echo Bluetooth transmitter is powered by a powerful, rechargeable battery which lasts up to 25 hours. Alternatively, you can connect it to the supplied power adapter permanently. 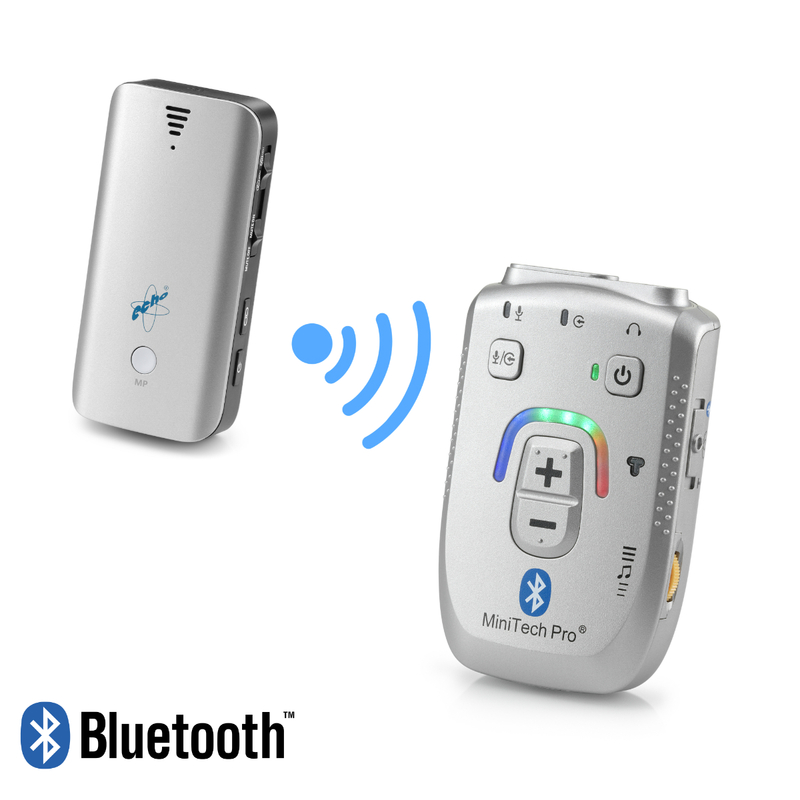 Our Minitech Pro BT can easily be connected to any Bluetooth enabled mobile phone. As well as amplifying music or videos that you play through your mobile phone, you can also take phone calls with our MinitechPro BT, making the persons voice louder for you. You will also be able to enjoy wireless connection to a variety of Bluetooth enabled devices such as tablets, PC’s and Televisions. The aptX low latency incorporated in our receiver ensures that sound is delivered fast and in sync with any visual media you watch.